How much detailed is DETAIL Engineering? Similarly to realizing where BASIC Engineering stops (see corresponding post) it’s interesting to realize that DETAIL Engineering does not produce all execution drawings: some are left to the construction contractor to develop. The civil DETAIL design performed by the EPC Contractor, e.g. 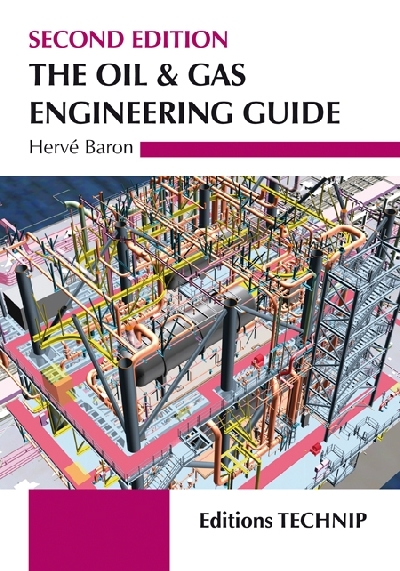 that of a foundation or a concrete structure, entails design, calculations and issue of the re-inforcement and formwork drawings (as shown on page 77). The Bar Bending Schedule (see illustration) which is required for the prefabrication of the rebars, is produced by the civil contractor. Building detailed design is not usually developed by the EPC Engineer, which merely defines its needs to the building construction contractor. • Tie-in points for connection of the building to the PLANT’s utilities. The structural design, calculations and all structural drawings for the building and its foundation will be done to the civil contractor. So will the HVAC detailed design (equipment selection, flow diagram, ductwork routing), Fire & Gas and Telecom cable routing, design of the lighting and small power, plumbing networks, finishing schedules (doors etc.) etc. The latter will particularly entail co-ordination all these trades, to avoid interferences. The rationale for the EPC contractor to leave the building detail design to the construction contractor is that it has little cost impact and is time consuming. The EPC engineer’s always stretched resources concentrate on either critical or high cost items. 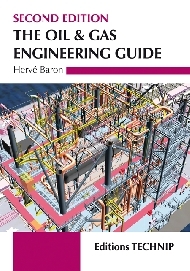 For On-shore Steel structures, such as pipe-racks etc, the EPC Engineer will perform the design, calculation and sizing of the members but no detail any further. Its work will stop at the issue of the Steel structure design drawings, such as the one shown on page 84. These are "on-line" drawings, indicating of the size of profiles, dimensions & elevations. Connections between steel members, in particular, will not designed/sized by the EPC Engineer but left to the steel structure fabricator. The EPC contractor will simply provide the latter typical drawings, design criteria and individual loadings. The steel structure fabricator will perform the sizing of the connections and produce the corresponding calculations note and detailed drawings. The fabricator will also produce all drawings used in fabrication (shop drawings) and erection. See samples shown on pages 85 and 86. In Piping, the level of details to which the EPC Engineer goes is very high, with the issue of the Piping Isometric drawings. The latter are nevertheless not directly used for construction. Indeed, these are "Design" Isos, to which fabrication information (indication of welds following split in spools) must be added. Spooling, resulting in the issue of Shop Isos, is done by the piping construction contractor. Difference between Design and Shop isos are shown on page 114. While leaving design work to the construction sub-contractors, the EPC Contractor must ascertain the latter’s design office resources and capability. Early follow-up of production of the latter (through put and quality) will allow early identification and mitigation of a bottleneck. As the most common form of Contract for an industrial facility is an EPC Contract, we refer to EPC contractors, isn’it? This is a little misleading I believe… and offers an opportunity to unveil what I believe to be a systemic cause to EPC Project delays. One could imagine an EPC contractor to be a company covering the whole range of activities for the execution of a Project, from the drawing board to the pipe erection at Site. Such integrated model existed, up to the eighties, but has disappeared, Engineering companies having first cut their construction labour and equipment then their construction supervision. The EPC Contractor one will find today is typically an association of two companies, one doing Engineering and Procurement (E&P) and the other one the Construction (C). There are 3 types of associations between these two companies: a JV, a consortium or a sub-contract. The most frequent is the last one, the Construction contractor being sub-contractor to the Engineering Company, to which is awarded the EPC Contract. The Joint Venture seems the ideal: both parties share a common profit or loss. There is no conflict of interests. The issue lies with how one party controls the costs charged by the other party. It is very difficult for an Engineering Company to control the manhours of manpower and equipment charged by a Construction contractor. The Construction contractor is likely to inflate the latter to make its own profit on these charges, regardless of the profit it could get from the JV. The consortium has each party responsible for its scope, expenses and profit. This provides an incentive for each party to minimize its costs. There is a non recourse clause in the consortium agreement that prevents one party to claim to the other. Finally, the most commonly found type of association is the sub-contract. The Engineering company sub-contracts construction activities to a construction sub-contractor. The construction contractor is commonly paid applying unit rates to installed quantities, e.g. so much for a cubic meter of concrete cast, so much for a ton of pipe erected etc. This means that the construction contractor will be paid a fixed amount for a given amount of work done whatever its actual consumption of resources (manpower, equipment) is. In other words, the construction contractor bears its productivity risks. The productivity of the sub-contractor is however highly dependent on timely deliveries of drawings and materials by the Engineering company. In case drawings and material deliveries are delayed, idle time of manpower and equipment will be suffered by sub-contractor, as sub-contractor will still be paid the same amount for each erected ton of steel and the manpower and equipment will require to be mobilized over a longer period. In theory the sub-contractor could claim for such extension of time and related costs. Such claims are indeed made possible by the sub-contract type of association, contrary to the consortium. In practice, the sub-contract usually contains difficult to match conditions to such claims. The claim might, for instance, be eligible only of there is a proven overall – not local – lack of workfront. The sub-contractor might also be required to prove that the delay impacts the schedule critical path etc. As engineering and material deliveries are always subject to out-of-sequence and delayed deliveries, and the above claims are difficult to make, the sub-contractor will be careful not to mobilize too early. The sub-contractor will rather aim to always be a little under mobilized to achieve the best productivity. On the other hand, the EPC contractor will not be fully transparent with expected engineering and material delivery slippage as its interest is construction progress rather than productivity. Here, I believe, lies the systemic factor that leads to delays of EPC Projects organized under such contractual schemes. As such scheme is the norm, one deducts that the owner is more concerned with price than schedule and has accounted float in its overall schedule for delay in the execution of the EPC Contract. The scheme still entices the EPC contractor to complete as early as possible to avoid both Liquidated Damages and extra costs of prolonged presence at Site.